Dancing in the moonlight by Toploader! I wanted to be an archaeologist but that's only because I fancied Harrison Ford as Indiana Jones! 4. Who is your role model & why? JK Rowling because of her sheer determination, Tom Hanks because of his kindness and his ridiculous talent and my brother because of his work ethic and his brilliant imagination! Nearly every joint in my body clicks! Even my elbows and my hips! Walt Disney, Tom Hanks and JK Rowling! 10. How many roundabouts are in Milton Keynes? ...I have absolutely idea but when you tell me I know I'll never forget it! 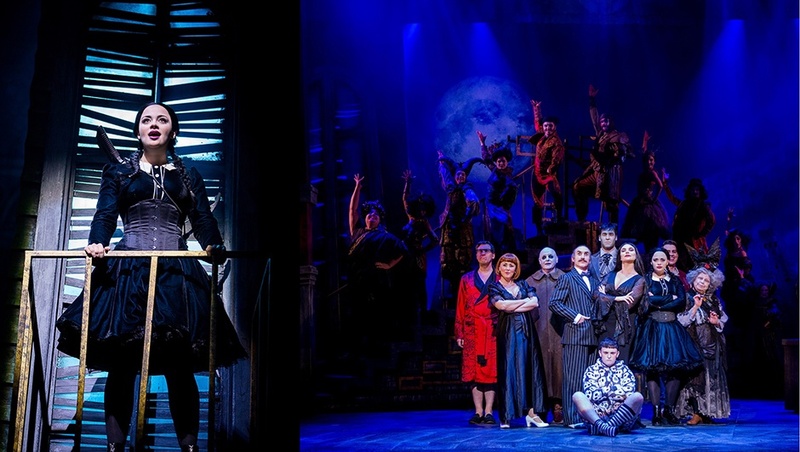 The Addams Family Musical will be Milton Keynes Theatre from 24 - 28 October.